Hey guys! It’s Thursday already and weekend is just around the corner. As I was watching some youtubers talking about their makeup tips. I thought of doing a look which I wanted to do for a long time. There are many sorts of way people use to make a winged eye look but I’m going to share with you my way of doing this 3 winged eye look. 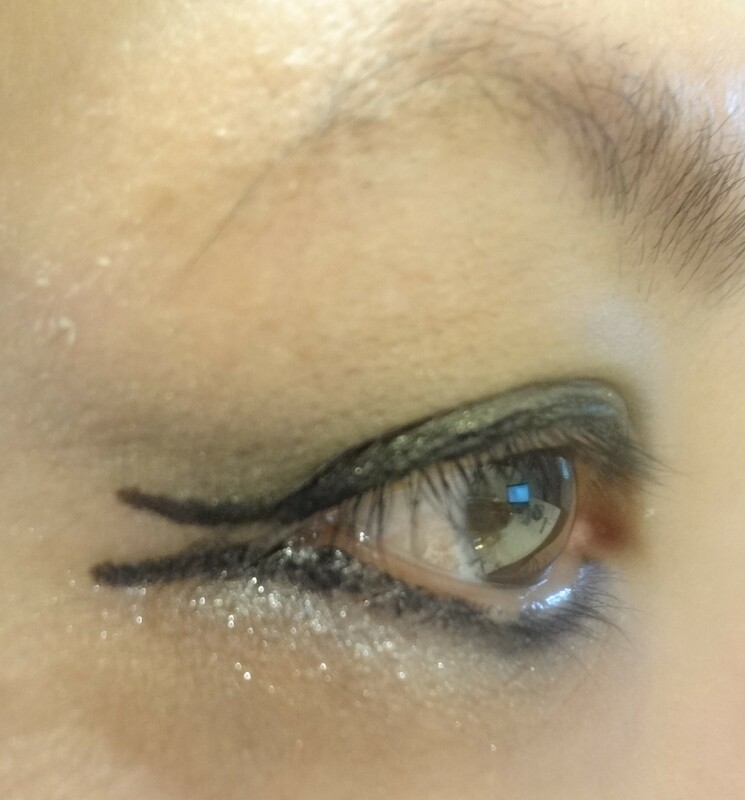 Below are the 3 steps which I used to create a perfect and lovely 3 winged eyelooks. Today, is all about 3 – 3 winged eyes, 3 steps and 3 makeup products only. I started by applying my eye concealer on top of the entire eyelid and under my eyes to conceal the dark circles under my eyes. Step 1: Apply using the liner along the upper and lower lash line to form the outer corner. 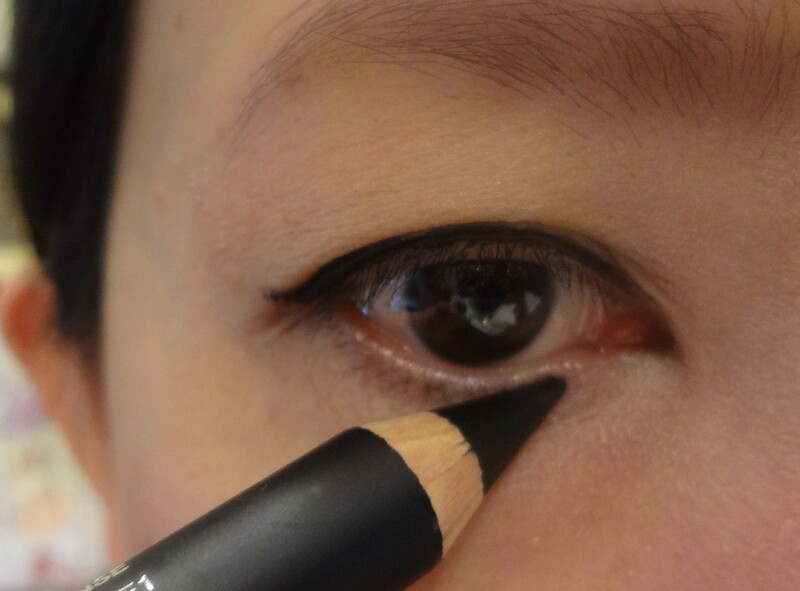 Start to glide it from the inner corner, and making it to the outer corner with a thin line stroke. 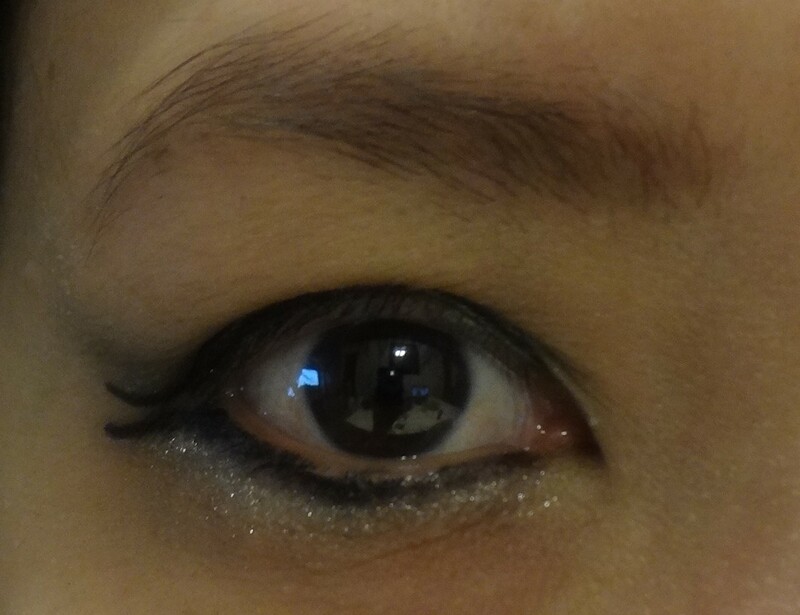 I tried making the line thicker at the outer corner. Step 2: Repeat the same step as above. Start from inner corner to outer corner and near to the lash lines. 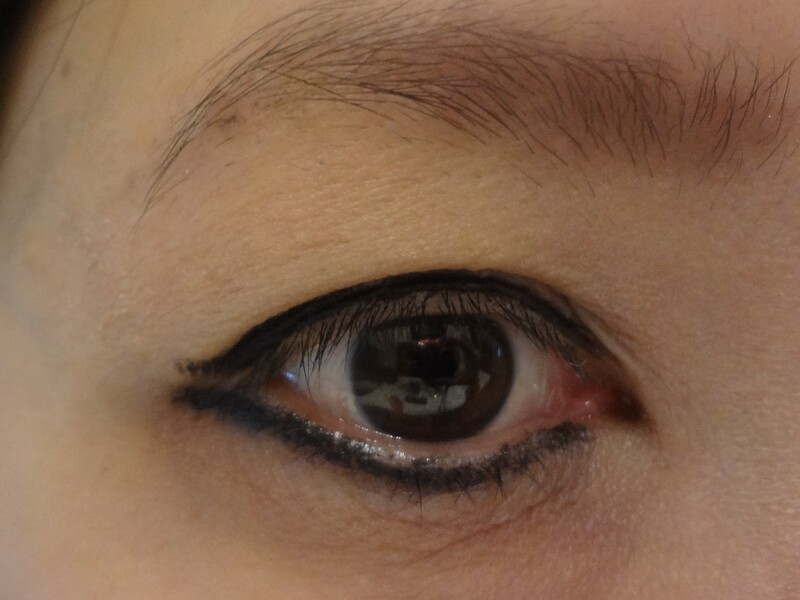 I did a reversed winged liner method in order to form 2 winged eyeliners. Clean uneven edges or mistake with Q-tips. 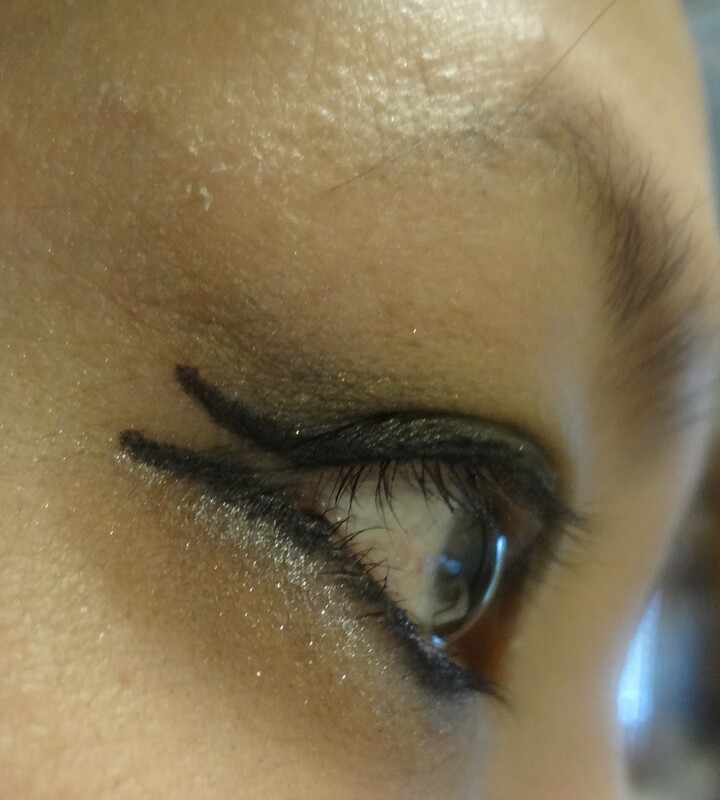 I use the long lasting eyeliner under my eyes by following the lower liner in step 2. This is to make my eyes looks more pop. 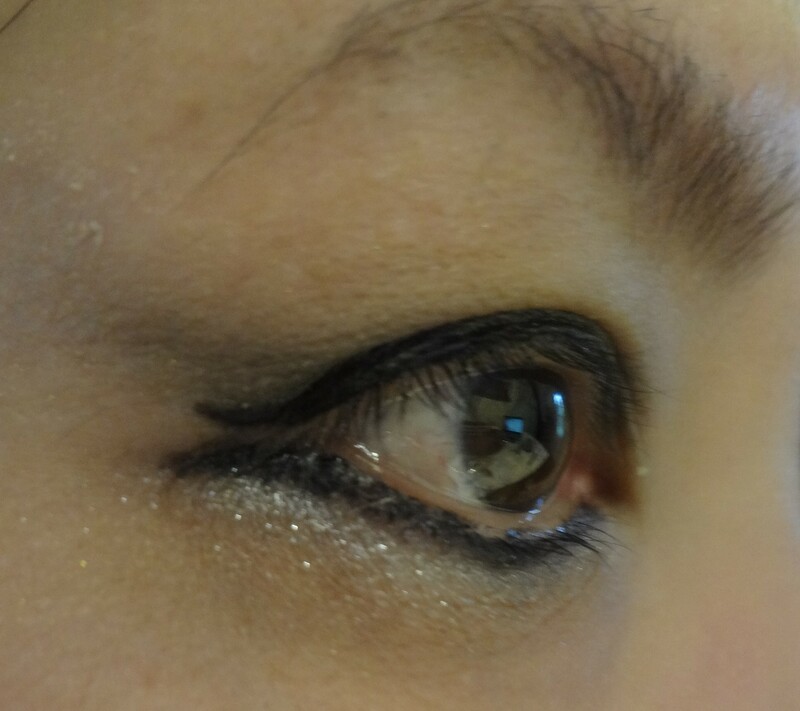 That’s the 2 winged eyeliner look and we finished the two steps. 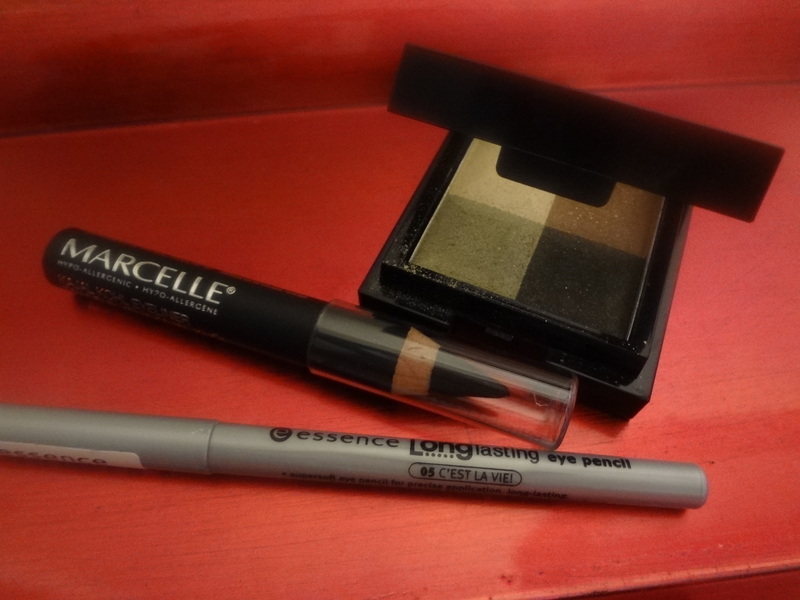 Step 3: By using the Jungle Fever eyeshadow, I apply the darkest green shadow on the eyelids and then pull the shadow longer to the outer corners. For a more daring look, I blend 2-3 times the darkest green on and the effect is a Wwwow! So, there you have it. 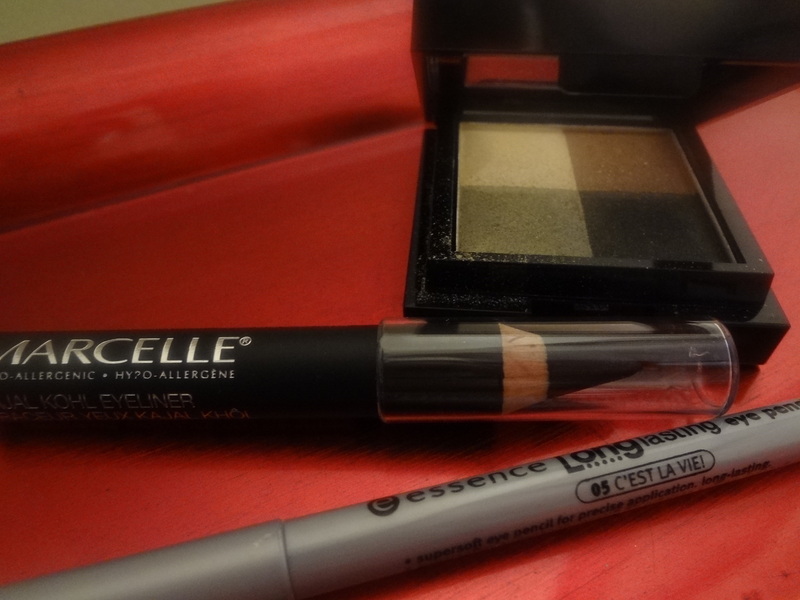 An easy steps to create a 3 winged eyeliner look which is alluring, sultry and bold look. 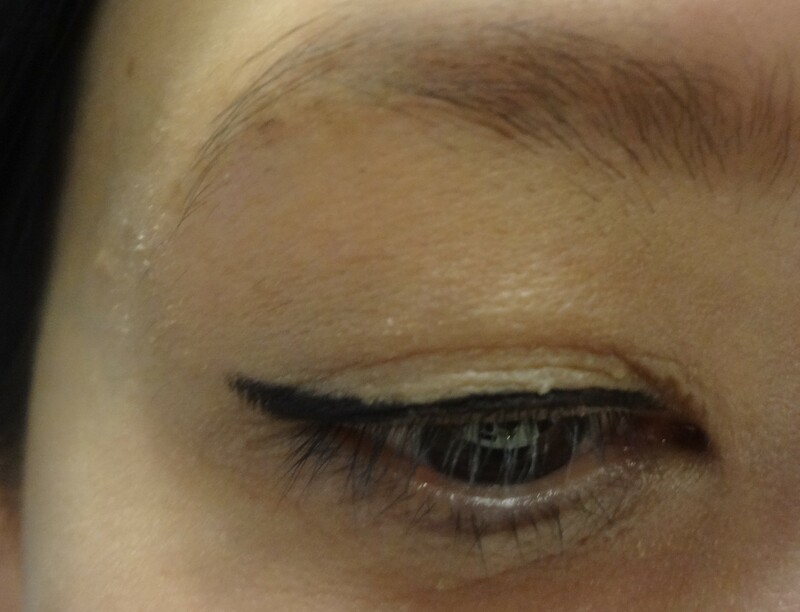 What type of winged eyeliner style have you tried? Please comment below. As usual, thank you so much for reading. 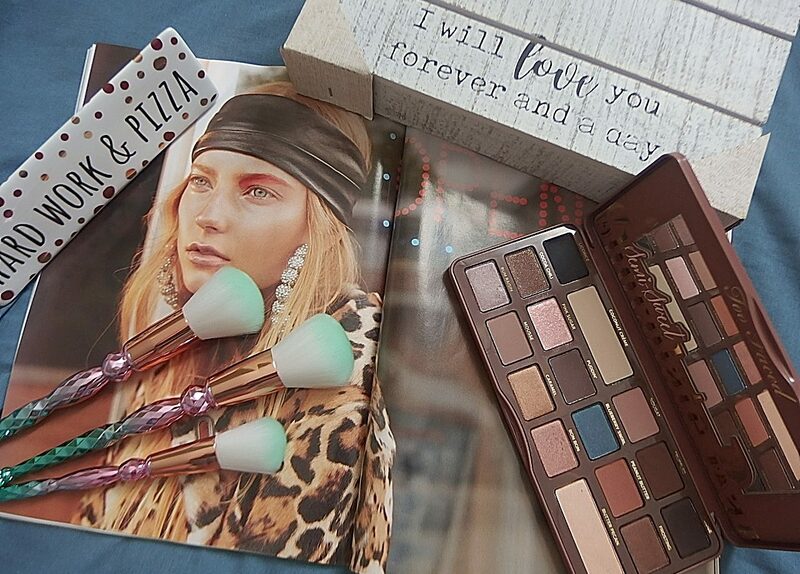 Next postBeauty Haul – Awesome Drugstore makeup edition! Love the glitter! It’s really pretty.